If you need legal assistance, finding an attorney who offers integrity and experience is of the utmost importance. On Alaska’s Kenai Peninsula, people turn to Eric Derleth, Trial Lawyer in Soldotna. He provides a broad range of legal services and ensures his clients’ rights are always prioritized. Since receiving his law degree in 1995, he has proven he’s a formidable opponent, whether contending with insurance companies or arguing persuasively during trials. Derleth’s experience allows him to satisfy a variety of legal needs. For personal injury claims, an attorney must work around the different points of view held by jury members to create a solid legal strategy. This holds true whether the task is negotiating a settlement with an insurer or presenting a case in a courtroom. As a skilled litigator, Derleth will present the facts of your case in a clear and concise manner to improve your chance of receiving the compensation you deserve for your injuries. 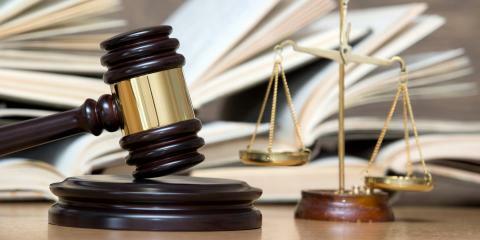 This firm also can tackle criminal law issues, including felony defenses. Being charged with a felony is a serious matter, and an attorney must be up to date with the laws and well versed in the facts pertaining to your charges. A felony conviction will impact the rest of your life, whether it’s depriving you of your freedom or hindering your ability to secure employment. As a result, seasoned legal guidance is crucial, and it’s what attorney Derleth brings to the table. In addition to these practice areas, he offers assistance with DUI charges, medical malpractice claims, domestic violence issues, and misdemeanor crimes. As a lifelong resident of Soldotna, Eric Derleth, Trial Lawyer is committed to providing his community with dependable legal guidance no matter how complicated the case. To schedule a consultation with this esteemed attorney, call (907) 262-9164. Visit the firm online for a complete list of their legal services.